Driving Lessons Torquay - First 5 hours for just £80! BOOK BY 30th April ! Start Your Driving Lessons today! very best chance of passing your theory test and practical driving test first time. We have male and female driving instructors providing Driving Lessons throughout all of Torquay, Torbay, Teignbridge and The South Hams for both manual and automatic driving lessons. Why Choose Our Driving School? Our outstanding team of highly qualified male and female driving instructors provide Manual and Automatic driving lessons in Torquay, Torbay, Paignton, Preston, Brixham, Totnes, Newton Abbot and the surrounding area. They will ensure that you not only learn quickly how to be a safe road user, but that you have fun and enjoy your time learning! Our fantastic team of experienced male and female driving instructors offer a fun, friendly and supportive learning environment. You can enjoy gaining a skill for life while taking driving lessons around your beautiful local Torquay area on the English Riviera! The Driving School South West provides regular Driving Lessons, semi-intensive and intensive driving courses, along with the Pass Plus course and automatic Driving Lessons. We believe that it’s important for you to learn to drive at a pace that is comfortable. This ensures a more relaxed and confident experience and also means your driving lessons are fun! The Driving School South West has built its solid reputation by delivering outstanding customer service teamed with a beautifully simple approach to Torquay driving lessons and learning to drive. Our aim is simple: To teach you how to drive safely, correctly and confidently whilst making quick progress each driving lesson. With this approach, we can ensure that every driving lesson you have with us is a happy one! 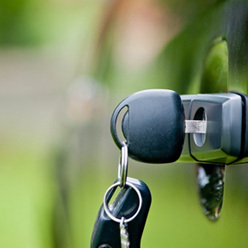 Our friendly and highly qualified team of male and female Paignton driving instructors believe that you should learn to drive at a pace that is comfortable to you. We provide regular driving lessons, semi-intensive, intensive and Pass Plus courses as well as automatic Driving Lessons. Whatever you need, we can help you achieve your goals and gain a valuable skill for life. We know that it can be difficult to fit driving lessons into a hectic schedule, so we try and help you by offering flexible collection and drop off points throughout Paignton. You can book driving lessons with one of our driving instructors between Monday to Friday: 7.30am -9.00pm and Saturday to Sunday: 8.00am – 5.00pm. If you’re serious about learning how to be a safe and confident driver, look no further than The Driving School South West!